Winstrol (also referred to informally as ‘Winny’) is the trade name for the anabolic steroid Stanozolol, which happens to be number three in the rankings for the most popular and most widely used anabolic steroids. 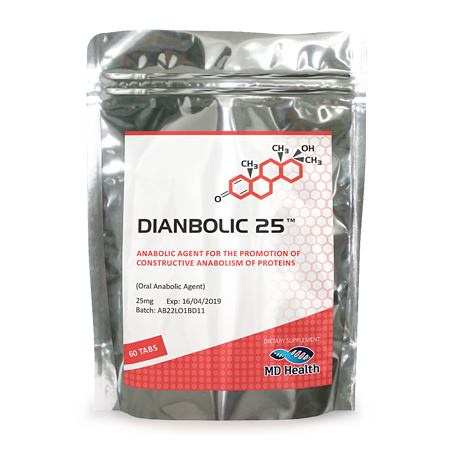 It is only succeeded in popularity and use by Deca-Durabolin (Nandrolone Decanoate), and Dianabol (Methandrostenolone), which sits at the top at the number one spot. Winstrol, being among the top three compounds, has a lot of good reasons for being as popular as it is, and it can easily be seen as to why so many athletes, bodybuilders, and fitness enthusiasts want to buy Winstrol and use it in their cycles. This drug was among the first anabolic steroids early on to be synthesized and released in the late 1950s. The 1950s saw the beginning of the anabolic steroid development gold rush, which lasted from 1950 – 1989. 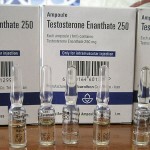 This ‘gold rush’ of anabolic steroids saw many governments and pharmaceutical companies race to modify the Testosterone molecule in order to develop a better, more ‘perfect’ anabolic steroid that could be used as a medicine. Of course, athletes and bodybuilders were also keenly interested in the new developments here as well for obvious reasons. Winstrol has its origins in the UK, having been originally marketed and manufactured by Winthrop Laboratories in the late 1950s and into the 1960s. American pharmaceutical manufacturers quickly obtained the patent for this hormone and subsequently began manufacturing and marketing American variants of this drug for the American prescription drug market. 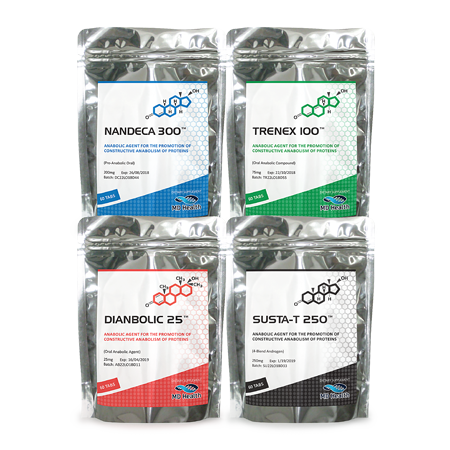 Stanozolol in all of its different brands and trade names enjoyed use in the treatment of many different diseases, disorders, and ailments over time. Although it has seen its ups and downs on the market and manufacturing end of things, Winstrol is today still approved for use as a pharmaceutical grade human medication, though it is not in production in North America. However, many different brands and generics of this product do exist internationally, and can easily be obtained in this way. Winstrol is also known as being a popular veterinary drug (mostly for use in horses, though it is used in other veterinary applications as well), and so those looking to buy Winstrol will also find a solid abundance of veterinary grade Stanozolol on the black market. Regardless, its popularity continued to remain sky high. In fact, many would say that the increased publicity surrounding anabolic steroids and Winstrol between 1988 – 1990 further bolstered its popularity and drove more individuals to seek its use and look for Winstrol for sale. Nevertheless, the popularity of this anabolic hormone is not due solely to the publicity surrounding it, but to its properties and advantages to the athlete, bodybuilder, and fitness enthusiast. It is a derivative of Dihydrotestosterone, and its modifications grant it very favorable properties among other anabolic steroids. 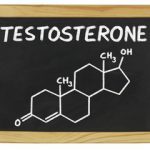 For one thing, it does not aromatize into Estrogen and provides a much stronger anabolic effect than Testosterone. It is therefore used by strength and speed athletes that do not wish to carry around added bulk resultant from water-weight or bloating, and the mass gains are not excessive and can be controlled according to the trainee’s diet and training regimen. Bodybuilders are fond of this compound because of its ability to enhance fat loss during cutting phases of training, and is a favorite among competitive bodybuilders. The effectiveness of this compound grants it third place in popularity, and therefore it is easily found across the black market for sale anywhere anabolic steroids are sold. 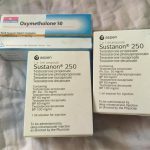 There are two variants of this drug: an injectable and an oral format, both of which are chemically identical, hence why it is possible to ‘drink’ the injectable format and still garner all of the same effects as the oral tablet form. This drug is available in two forms: an orally administered tablet, and an injectable that is in the form of a water-based suspension. In the case of the injectable, some underground laboratories (UGLs) have discovered methods of manufacturing this hormone into an oil-based injectable, though this oil-based format is unavailable as a human grade or veterinary grade form. 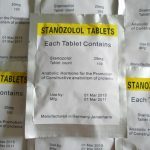 One very important and interesting point to note for the reader is that unlike nearly all other anabolic steroids, both the oral and injectable format of Winstrol are 100% chemically identical, meaning that the injectable format can also be ingested orally with the same effect as the tablet form. 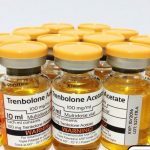 This performance enhancing drug seems to be very popular among strength and speed athletes (such as sprinters) that do not wish to add the extra bulk and/or water retention that is normally associated with other anabolic steroids. There is plenty of pharmaceutical grade as well as underground grade Winstrol to be bought on the black market. Pharmaceutical grade products are those which are manufactured by any FDA (or equivalent) approved pharmaceutical company, and due to their oversight and access to state of the art facilities, these products are ensured to be properly dosed, sterile, and quality controlled. However, the price of these products are obviously expected to be higher. On the other hand, underground products are manufactured by clandestine laboratories that are illegally or illicitly established, and have no oversight or quality control. The result are products that are of questionable quality that vary between the labs that manufacture them, though the prices are generally much more affordable than their pharmaceutical human grade counterparts. Winstrol is manufactured by a plethora of different companies under various generic and brand name products, as well as by underground laboratories (UGLs). Pharmaceutical and underground grade products are the two types or grades of product that anyone will encounter when looking for Winstrol for sale. Pharmaceutical grade Winstrol is manufactured by officially licensed pharmaceutical companies that are subject to oversight and quality control regulations by governments and the FDA, thus guaranteeing that these products are intended for human use and are therefore properly dosed, pure, and sterile at the expense of higher cost. Pharmaceutical grade Winstrol is fairly easy to find and common on the market due to the fact that it is one of the few anabolic steroids to have survived the gross manufacturing cessation of many of these hormones in the early 1990s. Underground lab (UGL) grade products are manufactured by unlicensed illegally established labs that generate anabolic steroids and related drugs exclusively for sale on the black market, and are intended for use by bodybuilders, athletes, and fitness enthusiasts as opposed to being human-grade medicines. 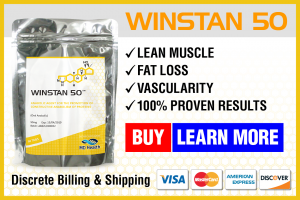 Athletes looking to buy Winstrol will encounter oral Winstrol for approximately $1.50 – $3.00 per tablet, with most tablets containing 50mg of Stanozolol. This is provided as a general example, however, as pharmaceutical grade Winstrol can range from 5mg tablets all the way up to 25mg tablets, and is difficult to establish price ranges of these different concentrations. Injectable variants of this drug contained in 10ml vials normally are sold in the range of $60 – $90 per 10ml vial, and even as high as $120 per vial. The standard concentration of water-based (or even the UGL oil-based) Winstrol is that of 50mg/ml. However, because underground laboratories are often pushing the envelope with high concentration products intended for muscle building, concentrations as high as 100mg/ml can be found. However, these are exclusively underground products, as the standard for pharmaceutical human grade is 50mg/ml or less.